A new report into the US pallet market is forecasting that sales will reach more than one billion by 2017. Areas of the market that are likely to show the strongest growth are sales of plastic and metal units. In the UK, the overall number of units in existence is set to get to one billion by the same year. The report from The Freedonia Group looks into how the pallet industry will grow over the next few years. Their estimates show that the industry will grow by 3.5% a year. This means that by 2017 the number of refurbished and new units sold will be 1.3 billion. At this rate, the market will be worth $16.9 billion. Over recent years the global pallet industry has suffered as a result of the economic downturn. Companies were reluctant to invest in new stock, so supplies built up. This meant that as the recession started to ease, production of new units was restricted while old stock was used up. The metal pallet sector was particularly affected by the global financial crisis. However, this is now likely to see some of the quickest growth as the market begins to pick up. Between 2007 and 2008 there was a build-up of excess metal units. Due to their expense, they were stored until the market recovered. Heat treated pallets remain the most popular type in existence. However, sales of plastic and metal units are beginning to show strong growth figures. These materials will continue to be used more readily over the coming years. 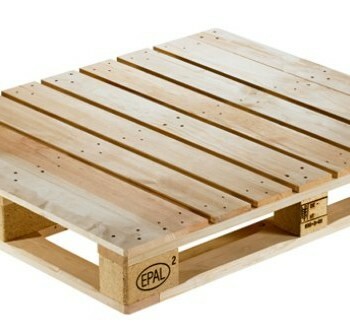 A pallet constructed from plastic or metal is far more durable and long lasting than a wooden one. This will mean that in the long term overall sales figures will be affected, as companies need to replace fewer units. However, their share of the market is so low that an increase in sales of these types will not have a detrimental effect on overall figures until after 2022. In the next few years, sales of block pallets will increase their share of the overall market. As more companies have money to spend, they will begin to replace their current stock of stringer units for the newer block ones. The UK pallet market is likely to follow the trend of the global industry. As companies move out of the recession and look towards the future, their investment strategies will enable them to purchase new and refurbished units. Figures for the number of pallet units in existence, shows that by 2017 this number will reach one billion in the UK. In the US, the number available will increase by 2.4% a year to total 2.6 billion by the same year. Across the globe, the pallet industry is growing at a fast pace. Only a decade ago, the market was worth *280 billion and it is now increasing at an average of 2.4% a year. In line with these figures, both the UK and US markets will continue a period of growth over the next few years.